Originally published in 1993. Organizations have become larger, more professionalized, more differentiated, and wealthier. At the same time, they are often subject to large-scale changes: either as a result of mergers and acquisitions, or simply in response to changed market conditions or new technologies. In this climate the people who run organizations frequently find themselves acting as "reformers". The central concern of this study is to analyze the reforming process within organizations and assess its impact. 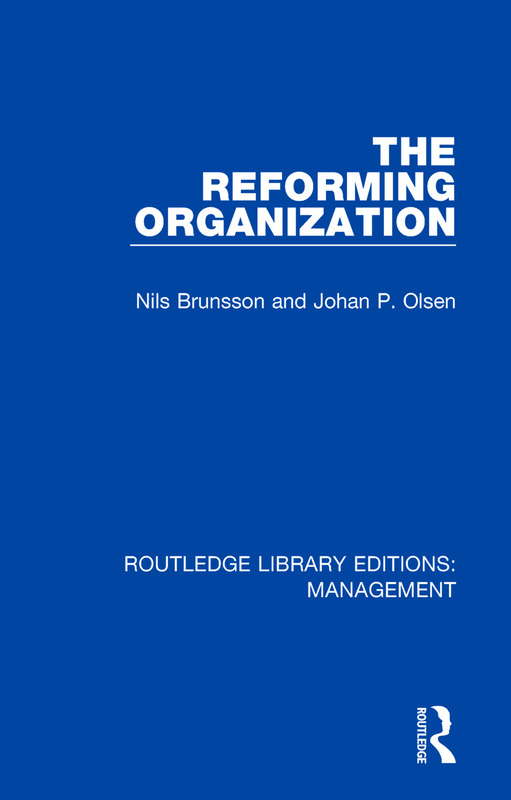 The authors define reform as the process by which individuals seek to achieve desired goals by changing the structure of their organization: the administrative procedures, chains of command and lines of communication. Drawing on empirical case studies from a range of different sectors, The Reforming Organization questions the relationship between the changes that can be seen occurring in organizations all the time and these conscious internal attempts at reform. This is a different approach to some of the central concerns in organizational theory. The relationship between individuals and structures and the "learning" capacity of organizations. This title will be of interest to students of Business Studies and Management. Organizational forms: Can we choose them?